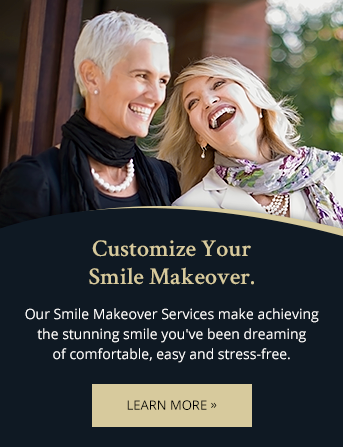 Our Toronto dentists provide a full range of dental restoration treatments to restore the function and beauty of your smile. Dental bonding is used for many reasons, including the repair of chipped, broken or decayed teeth, to reshape or whiten your smile, or to fill in gaps between the teeth. Bonding can also be used to attach bridges, orthodontic appliances or fillings to the teeth. First, a soft composite resin filling is scooped onto the teeth, and the dentist shapes it. A high intensity light is then applied to the resin, which hardens the material. Finally, the dentist polishes the surface to obtain natural looking appearance that blends with the tooth. A dental crown is tooth-shaped cap that is permanently cemented over a tooth to restore the its strength, shape and size, and improve its appearance. The crown will cover the visible portion of the tooth above and right at the gum line, once it is cemented into place. In addition to the cosmetic advantages, replacing missing teeth will restore your ability to properly chew and speak. The space left by missing teeth may also allow the surrounding teeth to shift out of place. This shifting could cause a misalignment in your bite and problems with your jaw joint. Shifted teeth are also harder to clean, making them more susceptible to gum disease, decay or even additional tooth loss. Dental bridges are dental appliances used to replace one or more missing teeth in your mouth. Dental bridges are fixed, in that they are cemented to the supporting (surrounding) teeth. In some cases they are fixed on a dental implant that has been placed next to the missing teeth for the purpose of support. Cosmetic dentures are designed to improve the aesthetic appeal of a person's face. Cosmetic dentures can be used to close gaps, replace missing teeth or improve upon previous denture work. Cosmetic denture placement are a non-invasive procedure that anyone in good medical health can undergo. The patient need only have healthy gums to ensure denture retention.